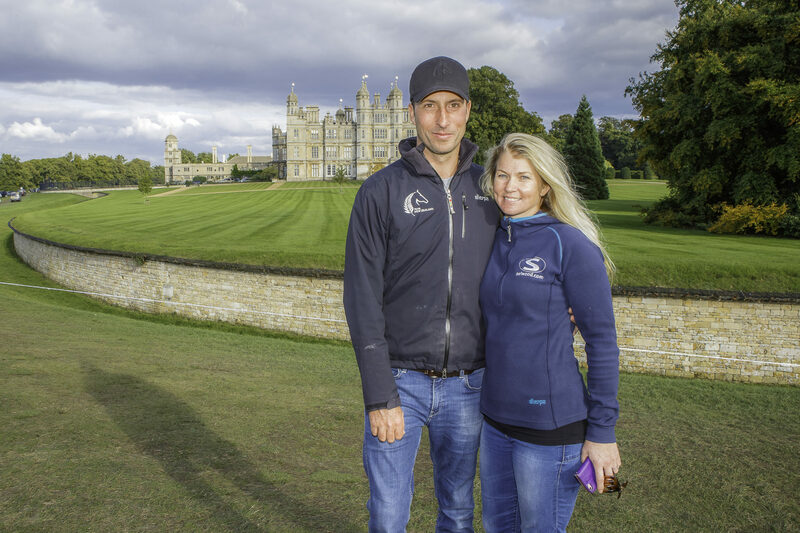 Since winning the UK’s Land Rover Burghley Horse Trials and Badminton Horse Trials earlier this year, Tim Price and wife Jonelle have been dubbed the new ‘power couple’ of world eventing. They became the first married couple to win equestrian’s two most prestigious world titles in the same year, since Princess Anne and Captain Mark Phillips emulated the feat back in 1971. Winning the Land Rover Burghley Horse Trials in September propelled Tim Price to 3rd in the world FEI Eventing rankings, and Badminton Horse Trials winning wife Jonelle to 7th – her achievements made the more remarkable just nine months following the birth of the pair’s first child Otis. It’s the first time the pair has returned home to New Zealand to compete since leaving to live in the UK in 2004. Their inclusion in the event’s line-up was a ‘must have’ for event director Dave Mee, after attending the Land Rover Burghley Horse Trials & Badminton Horse Trials to watch the duo in action, first-hand. “It could be argued that many Kiwis underestimate the talent of our top eventers. The cross-country fences these guys and girls face would question anyone’s courage. To have such a dedicated and talented young couple like Tim and Jonelle flying our flag on the world stage is great for New Zealand and great for the sport. “We thought, let’s celebrate their achievements by bringing them home to compete. This is our chance as a country to salute and really make a fuss of what they’ve accomplished. “It’s no secret that New Zealand is a breeding ground or eventing talent with Kiwi horses and riders consistently punching above their weight. Tim and Jonelle are two of the top ten eventers in the world, which is impressive by any sport’s standards,” says Dave. The couple, who refer to themselves as “the best of friends and fiercest of competitors” are excited to headline New Zealand’s pinnacle equestrian event. “We’re thrilled to be asked to compete at the Land Rover Horse of the Year Show. It’s been an incredible year for us both and we want to come home and show our supporters that Kiwis (like us) can take on the best in the world,” says Jonelle. Kiwi fans can catch the pair in action around the show’s Burghley Day themed 3 Star cross country course, at the Hawke’s Bay Showgrounds on Saturday March 16th, 2019. Tim and Jonelle will be available for a press conference with their Land Rover Burghley Horse Trials and Badminton Horse Trials trophies following competition. Land Rover Horse of the Year attracts in excess of 55,000 spectators every year over the six days of competition, with over 1,400 riders and 1,800 horses competing and camping onsite at the Hawke’s Bay A&P Showgrounds.